"Build it & they will come!" We're hoping the creation of a smooth bluestone seating surface on the low stone wall in our park's central terrace will help more small groups come to think of Ned Wolf Park as the best outdoor meeting place in Northwest Philadelphia! Less than one week into the Terrace Wall Project and the demolition of railroad ties and trimming of the concrete paving is complete. 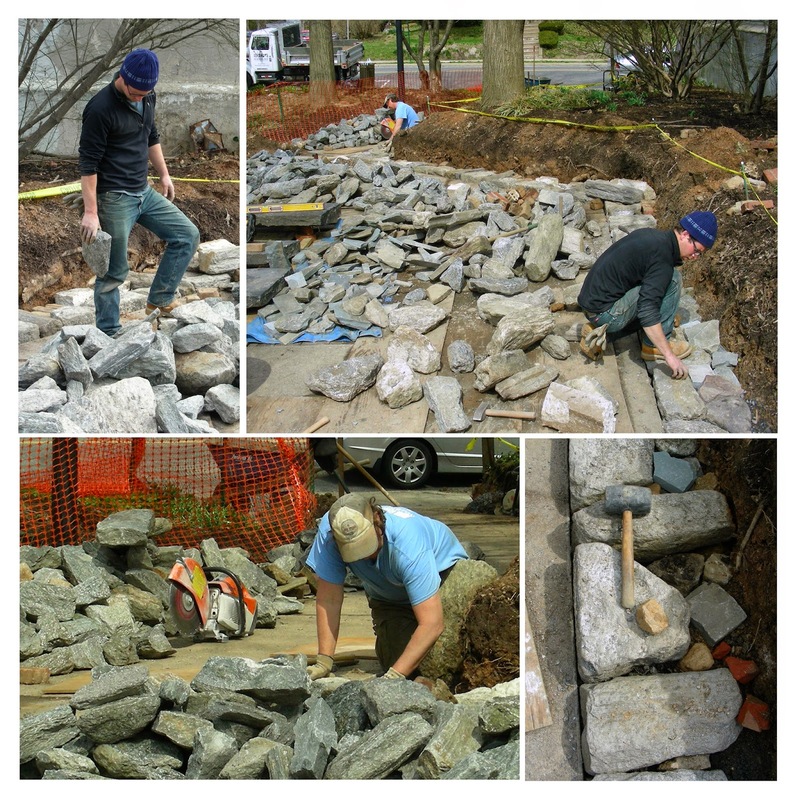 Today, Fran (with a baseball cap) and Brendan (with a knit cap) from Morningdew Stonework & Landscaping were wading in a sea of stones to find the right shape and sizes pieces to lay the base course of the dry laid wall. They are both very excited to be getting into the artisan work of interlocking stones to create a strong, stable, and handsome wall. The result should be subtle but sumptuous. Feel free to give them a shout out for their efforts if you pass by while they're hard at work!